At several polling places around the metro, one thing they all had in common was lots of activity. Voters 3 News Now spoke with said it is their duty to vote and they're making sure that their voice gets heard. Starting early in the morning voters waited in line to cast their ballot. “It's an important part of our responsibility as citizens,” said Papillion resident, Denise Moser. 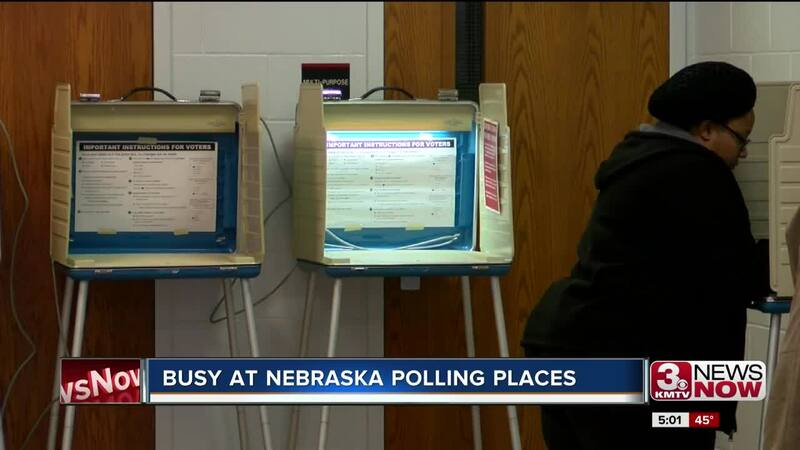 Wait times varied at locations across the metro, but that didn't deter voters. “It took me about 20 minutes probably to get up to the counter, but it went pretty fast actually,” said Papillion resident, Thomas Vaughn. Voters 3 News Now spoke with, regardless of age, all agree that it is their civic duty to get out and vote. “The young votes really matter if the younger generation doesn’t vote then the voting population gets lower and lower every year so it's important to encourage young people to vote,” said Omaha resident, Carson Ashburn. 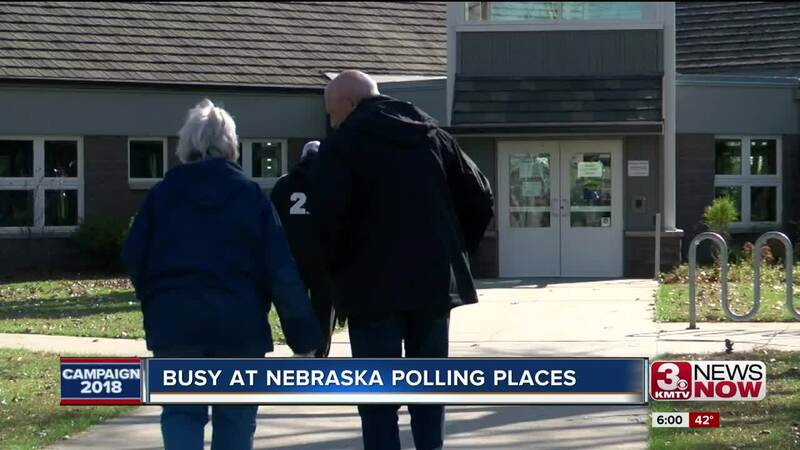 "I feel these types of votes more than even the presidential ones, your vote matters more so it's really important to come out here and vote for what you believe in,” said Omaha resident, Nick Smith. In today's political climate people agree that their vote matters now more than ever. “If you want to make positive change or change period you need to get out and vote, so you can hold the lawmakers that you voted for accountable to make those changes in policies and procedures.,” said Omaha resident, Richard Partee. And by casting a ballot, voters hope to create meaningful change in their communities. “I know you're one person out of however many people vote that day but if there's enough of you there's a good chance you could possibly win,” said Ashubrn. Voters 3 News Now spoke with who waited in line said the wait was worth the opportunity to vote because this is the only way to make a change in the way things are and to hold those in power accountable.